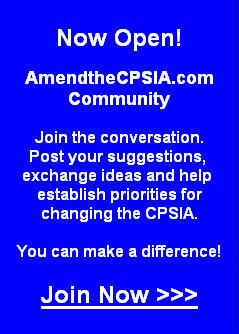 CPSIA - Comments & Observations: CPSIA - No Surprise - Bipartisan House Bill Passes 421-2. Bill no. is H.R. 2715. Wow. 421 to 2. That's a huge bipartisan vote so it must be a good bill. Reminds me of another vote three years ago that also had a huge bipartisan outcome.